Several decades before Alexander Frolov began driving Kings’ management and fans batty with his sporadic and irregular play, the team had another superstar in the making…Cowboy Bill Flett. Known as a hard partier during his playing days, Flett passed away in 1999 from liver related complications. Had he still been with us, yesterday would have been his 67th birthday. How ironic considering his big break came in ’67. Originally drafted by the Toronto Maple Leafs, Flett was selected in the 18th round of the ’67 expansion draft by the Kings. A few months later when the season began he was well on his way to becoming one of the early stars of the new hockey team in Los Angeles. Like another player in the news this week, he wore #17 (bet you didn’t see a Kovalchuk reference coming in this story, did you?). Playing on the top line, in the now legendary purple and gold uniforms, he netted a team-high 26 goals his rookie season. 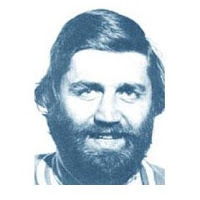 However, Flett’s goal production declined each of the next four seasons and in January 1972 the Kings had seen enough, packaging him in a deal to the Philadelphia Flyers. As often happens in such situations, he appeared to get the message. Flett posted the best statistical year of his career the following season, 43 goals and 74 points. He topped that 12 months later by winning the Stanley Cup with the Flyers, the first by an expansion team. Similar to what the Chicago Blackhawks experienced last month, the celebration didn’t last long. Just a week after drinking from Lord Stanley’s Cup, Flett was traded to the Leafs. After playing one season in Toronto they put him on waivers and he was claimed by the Atlanta Flames. That was short lived too, as 24 games into his second season there the team traded him to the Edmonton Oilers of the WHA for cash. Two and a half years later the WHA was absorbed by the NHL and he was back to the big time. Not for long though. He appeared in 20 NHL games before calling it a career, retiring to become a scout for Glen Sather and the Oilers. Since the hiring of Dean Lombardi in 2006 many stories about the Kings have featured a connection to the Flyers. Having already noted Flett’s ties to Philly above, there is another interesting link to LA’s history…for a different generation, it’s the Oilers that were always caught in a web of Kings news. Those Edmonton team’s featured names like Gretzky, Messier, Coffey, Anderson and Kurri. By 1993 Wayne had matured into the Great One, been traded to LA and was about to lead the team into their first Stanley Cup Final. Simultaneously, Flett’s legendary drinking had caught up with him and he was being admitted to the hospital, as early signs of his impending health problems were starting to surface. He wasn’t going down without a fight though. Flett was known for being one tough customer. These days, he might be referred to as man’s man. It wasn’t just any ‘ol scruff that was singed that day. Flett’s facial hair is part hockey legend, as some have credited him with starting the tradition of sporting a beard for the playoffs. Truth be told, while he may have been the first bearded player to hoist the Stanley Cup, it wasn’t a playoff thing – it was his every day look. Realistically, the tradition probably belongs to the Islanders of the early 80s. With a nickname like ‘Cowboy’ there was obviously more to his legendary “look” than just a beard. It started with a trademark black hat and a pair of cowboy boots. Unlike Frolov and his well-known love for fashion, Flett wasn’t trying to make any statements – he was just being himself. Born in Alberta, Canada he had been in plenty of rodeos growing up. After trading in the cattle for the ice, he kept the look and legend has it he would even wear his cowboy boots on the golf course. Later, in alumni and charity games, he would also wear spurs on his skates. Ah, the business side of hockey. It was as alive in the early ’70s as it is today. Players come and go, but it’s the logo on the front of the jersey that doesn’t change. Oh, wait…scratch that. The logo on the front occasionally changes too. Either way, before being traded, waived and later sold for cash in the twilight of his career, Cowboy Bill Flett was one of the most interesting men to ever play for the Kings. It will be interesting to see if history repeats itself. Will Frolov go the route of the Cowboy – leave the Kings, regain his scoring touch and win a Cup with another team? Or will he find his way back to Los Angeles and remain part of the core group trying to do what so many before them weren’t able to…win a championship here?